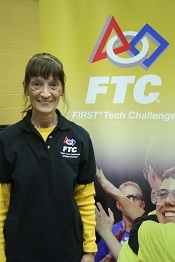 Renee Becker-Blau has been involved with FIRST robotics since 2003. She began as a member of FRC team 1675 from Milwaukee, Wisconsin, and continued her involvement in college by founding GO FIRST, a FIRST alumni student group, and serving as president of the program for three years. GO FIRST supports the local FIRSTcommunity by connecting college students to teams in need of mentors, running workshops for teams on campus, and volunteering at FIRST events. After graduating from the University of Minnesota-Twin Cities with a Bachelor of Science Degree in Scientific and Technical Communications, Renee became the FIRST Senior Mentor of Minnesota before moving to Indiana in August of 2013 to become a FIRST AmeriCorp VISTA to work on creating capacity building programs. 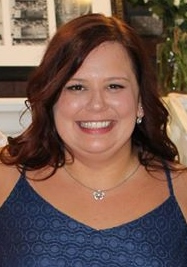 She became Executive Director of IndianaFIRST in September of 2014. Chris has been involved in FIRST since his son joined an FLL team as a 6th grader in 2010. Over the past few years he has been a volunteer at FLL, FTC, and FRC events throughout Indiana and began mentoring on FRC 1741 Red Alert Robotics in 2012. Professionally, Chris was a classroom teacher for 10 years and most recently has worked in the nonprofit sector for a variety of nonprofits in Central Indiana. 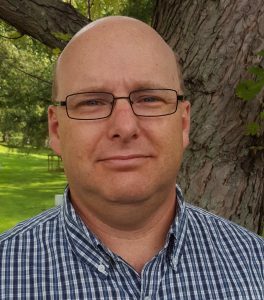 As the Program Director, Chris will work part-time with existing teams on sustainability and help grow IndianaFIRST throughout the state. In her role as the FIRST® Tech Challenge (FTC) Operational Partner for Indiana, Lori supports the growth of the FTC program, by coordinating FTC Qualifying Tournaments, managing team growth, and providing local team support. She is the FTC liaison to FIRST®ensuring that Indiana QT’s follow FTC guidelines and is a member of the IndianaFIRST® State Operating Committee (SOC). 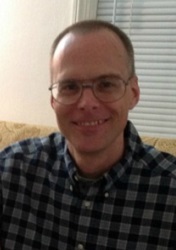 Keith Hall has more than twenty years’ experience in the mainframe computer industry. He was recruited into FIRST in 2007 by a local FRC team after they discovered he was teaching an after school introduction to robotics class at a nearby high school. He is a member of the Midwest Regional Planning Committee, mentors FRC team 2171, and judges at a FLL Qualifying Tournament. Hall is attending Purdue Calumet, studying physics and mathematics while working towards a license to teach high school sciences. Visit firstinspires.org to read more about FIRST Senior Mentors. Rachel Miller started her FIRST career as an FLL student in the Center Grove School Corporation, and she discovered her passion for STEM in 2005. From 2008-2012 she was a student on FRC team 1741, Red Alert Robotics. Because of her time in the FIRST program she went on to study Technology Engineering Education and Human Resources and Development at Indiana State University. Through her college career she has stayed involved in FIRST by volunteering at events and becoming the head non-engineering mentor for FRC team 5188, Area 5188: Classified Robotics. She loves working with students, and she has an enthusiastic spirit about STEM. She hopes to inspire people to realize the importance of it. In her role as the FIRST® LEGO® League (FLL) Operational Partner for Indiana, Carol collaborates with FLL Qualifying Tournament directors in Indiana to support FLL teams and maintain/expand the FLL tournament system. Carol oversaw the growth of FLL from one state championship in 2002 to the current status of eleven qualifying tournaments with capacity to serve 275 teams. 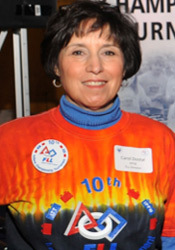 Carol also facilitates the coordination of the Indiana FLL Qualifying Tournament (QT) registration/advancement process, oversees the FLL State Tournament Directors Committee, and works in collaboration with other FIRST® representatives to establish FLL Coach Clinics and related training programs. She is the FLL liaison to FIRST® ensuring that Indiana QT’s follow FLL guidelines and is a member of the IndianaFIRST® State Operating Committee (SOC). Carol has fifteen years experience teaching at the secondary and university levels. Her teaching focused on communications where she was also a coach, tournament director, and regional judge. For more than eighteen years Carol has directed a variety of informal educational programs in communications and STEM (science, technology, engineering, and math) activities. 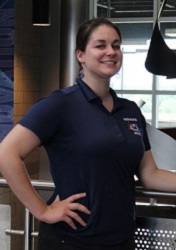 She has been involved with Indiana state/regional STEM competitions for eleven years as the FLL Championship Tournament director, coordinator of the Indiana Future City® Competition, the director of the NE Indiana Regional Science and Engineering Fair and member of the Northeast Indiana Engineers Week Committee. Carol is a member of the PFW STEM Council and works with faculty, volunteers, and the outreach staff promoting STEM education, supporting event participants, and coordinating ETCS Outreach events.